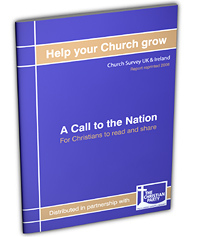 In 2005 the results of a nationwide church survey were published identifying the reasons for the decline of churchgoing in the UK. It featured on BBC2 Newsnight and in the national press and was sent to thousands of churches across Britain. It is a unique and thought provoking document highlighting what needs to be done to help people find personal faith in the Lord Jesus. The Church Survey is free to download and contains inspirational material for the individual, for church magazines, house groups etc and also contains serious prophetic warnings concerning the future of the UK. The results of the church survey led to the birth of Internet Pulpit. The following is a list of some of the topics covered in the survey….